Summer is a wonderful time to enjoy the great outdoors. Whether you're involved in recreation league sports, hiking, or barbecues, there's something for everyone. Usually, flying pests are just a nuisance. The worst they do is provide a minor irritation to an otherwise fine outing. This year looks to be different, though. The Zika virus, a blood-borne illness transmitted by mosquitoes, has been identified throughout the United States. Florida, Texas and Kansas have already confirmed cases and more states are likely to follow. The symptoms of Zika are not terribly severe. Infected people may experience body aches, fever, rash and eye redness. That's, of course, if they experience any symptoms at all. Odds of death from Zika are remote and hospitalization is rare. People with compromised immune systems may be at greater risk, but the greatest threat posed by Zika is the risk of birth defects. A woman who is pregnant may transmit the disease in utero to the fetus. This infection dramatically increases the risks of a birth condition known as microcephaly - an underdeveloped brain. Babies born with microcephaly will face risks of seizures, developmental delays and the loss of sensory function. There's no treatment, vaccine or cure for Zika virus. The only step you can take to reduce the risk of transmission is to reduce the primary risk: mosquitoes. Some municipalities have begun sterilization and spraying efforts to control these pests, but individuals can also take steps to reduce their exposure to Zika. The panic surrounding Zika has also led to an upswing in aggressive sales tactics for mosquito eradication products. Unscrupulous salespeople will exploit public fear about the disease and promise to sell products that will eliminate mosquitoes. If such a product existed, it would be used around the world by people everywhere. If you're worried about mosquitoes and your family, it's best to be pro-active and eliminate mosquitoes on your own terms, rather than find yourself duped into the latest scam fad. Before diving to the home improvement store and filling your cart with mosquito repellents, remember that not all solutions are created equal. Let's run down the most popular products and consider the pros and cons of each, so that you can make an informed decision on how to keep your family safe. Mosquitoes find humans through three different means: heat, scent and breath. Mosquito traps draw mosquitoes in, then seal them in a collection container and kill them. These devices usually run between $50 and $400, with more expensive versions having more complex mechanisms to attract mosquitoes and more efficient means of killing them. The best part about mosquito traps is that they're entirely passive. Attach them to a power supply and let them work. They'll require some cleaning and maintenance to ensure their effectiveness, but they're the least labor-intensive of options we'll discuss. The biggest traps claim to be effective over about an acre of land, although independent reports have yet to verify this claim. The biggest downside of mosquito traps is that they're an incomplete solution. 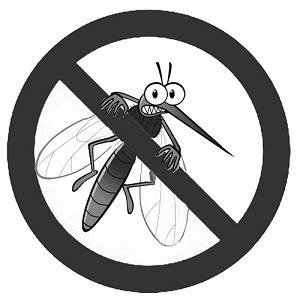 Mosquito traps only kill adult mosquitoes. They do nothing about eggs or larvae. Since these systems will never be 100% effective, traps alone are not enough to combat Zika. There are a variety of steps homeowners can take to stop mosquitoes from spawning in the first place. Some of these are fairly obvious, like draining areas of standing water and filling them to prevent the puddles from forming again. Doing so prevents mosquitoes from breeding nearby and can help eliminate the threat. For more intensive measures, some people use chemical insecticides, either in a scheduled misting system or as a one-time treatment. The use of chemical insecticides seems, at first glance, like an easy solution. Many chemical sprays not only kill adult mosquitoes but also prevent mosquitoes from spawning in those locations again. Using a controlled quantity of chemical can prevent any health risks. However, chemical sprays are powerful environmental influencers. If applied insufficiently, they can produce resistance and immunity among the pests. If applied in too great a quantity, they can cause damage to plants, pets and people. Their use is best left to professional exterminators, which raises the cost. This is by far the easiest solution, although many people find the process annoying. Keeping a bottle of spray-on insect repellent by the door and spraying yourself down before every outside session may seem irritating, but it's one of the most effective steps you can take. More traditional remedies, like citronella, may provide some repellent, but are no more effective than any other smoking candle. When choosing a repellent, the chemical attribute which ties most highly to success is DEET concentration. For serious, long-term outdoor activities, concentrations of 30% provide maximum protection for the longest duration. For family barbecues or fireworks shows, concentrations of around 10% provide a smaller range of coverage for about two hours. Because of the risk of accidental consumption, 10% concentration of DEET is the highest level that is recommended for children. For those concerned about spraying chemicals, the FDA has approved a clothing treatment insect repellent. Look for products containing permethrin, or the brand name Insect Shield. Both the CDC and the EPA endorse these products for use in insect control. When it comes to the safety of your family, make sure you separate truth from fiction. If anyone claims they can make mosquitoes disappear overnight, run the other way. The best approach involves a combination of efforts to make sure you get all the protection you need.